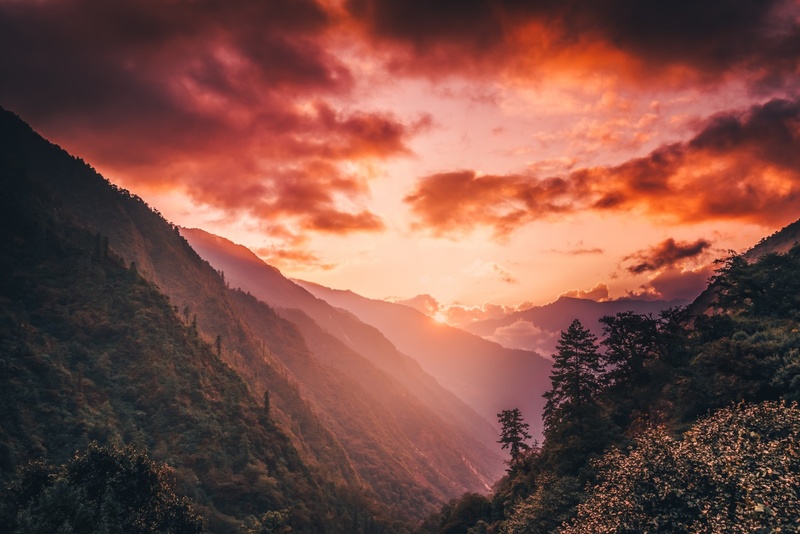 Red sunset at Rimche in Langtang region, Nepal. Langtang is a secluded region at the Tibetian border north from Kathmandu. It was severely hit by an earthquake in 2015 but it’s slowly recovering and accepting trekkers again. The region is breathtakingly beautiful and pretty scary at the same time. Trekking there makes you really appreciate the nature the fact that you are actually mentally and physically able to do it. 🙌 And those are the very things we should really learn to appreciate and not take for granted. This photo was taken from Rimche which is on a way from Bamboo to Lama Hotel. Everyone spends a night in Lama hotel. Protip: stay in Rimche for much better views. It’s only 10 minutes downhill to Lama from there.